Nanochemistry: New Book Chapter published! © 2017 CRC Press, Taylor & Francis Group, an Informa Group company. 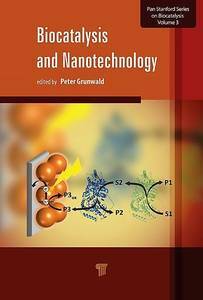 Prof. Mathur and his co-authors contributed to the recently published book "Biocatalysis and Nanotechnology" edited by Peter Grunwald a chapter titeled Functional Nano-Bio Conjugates for Targeted Cellular Uptake and Specific Nanoparticle-Protein Interactions. The book covers topics ranging from Fundamentals of Nanotechnology, Biocatalysis: An Introduction, chapters on various applications of nanoparticles as biocatalysts to an Overview of the Current Knowldge and Challenges Associated With Human Exposure to Nanomaterials.